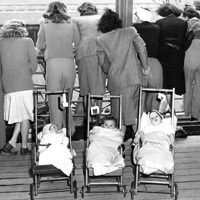 Local businessman and manufacturer Joe Keller developed a bitter history with his business partner after dealing with profound tragedy during World War II. Despite the odds, love blossoms between Joe’s son Chris and his partner’s daughter Ann. 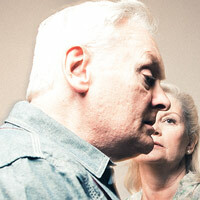 Joe is destined to face old dilemmas and defend his decisions in this electrifying family drama. 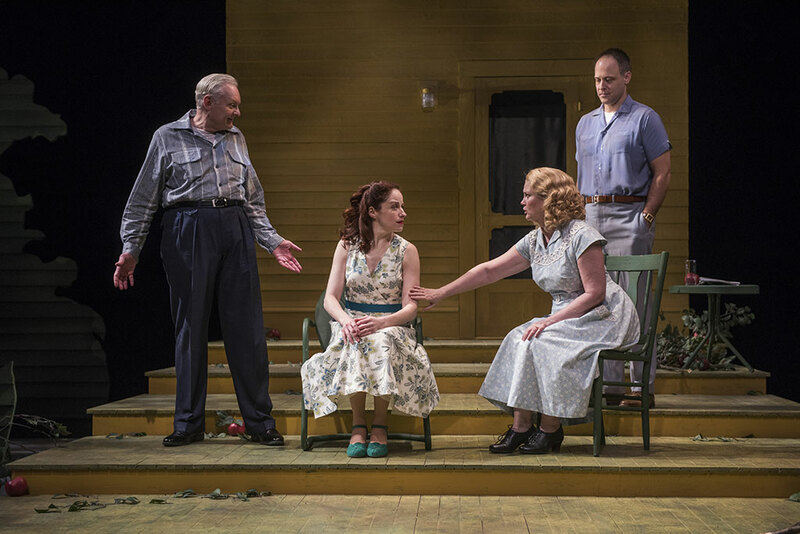 All My Sons established playwright Arthur Miller as an American theater icon, and won the 1947 Drama Critics’ Award for Best New Play. Court Theatre’s production is directed by Charles Newell, Marilyn F. Vitale Artistic Director, and features Timothy Edward Kane (An Iliad; One Man, Two Guvnors; Harvey) and the return of both John Judd (Gross Indecency, Lettice and Lovage) and Kate Collins (Nora, The Real Thing) to the Court stage. Court Theatre’s 2017/18 Season is sponsored by Barbara and Richard Franke. Photo of John Judd, Heidi Kettenring, Kate Collins, and Timothy Edward Kane. (Brosilow). The critical reception for All My Sons has been outstanding. Read excerpts from the reviews here. 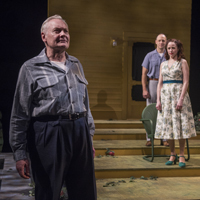 Charles Newell, Marilyn F. Vitale Artistic Director, talks about Court's approach to All My Sons. 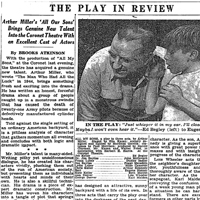 Read background on Arthur Miller and the genesis of All My Sons. 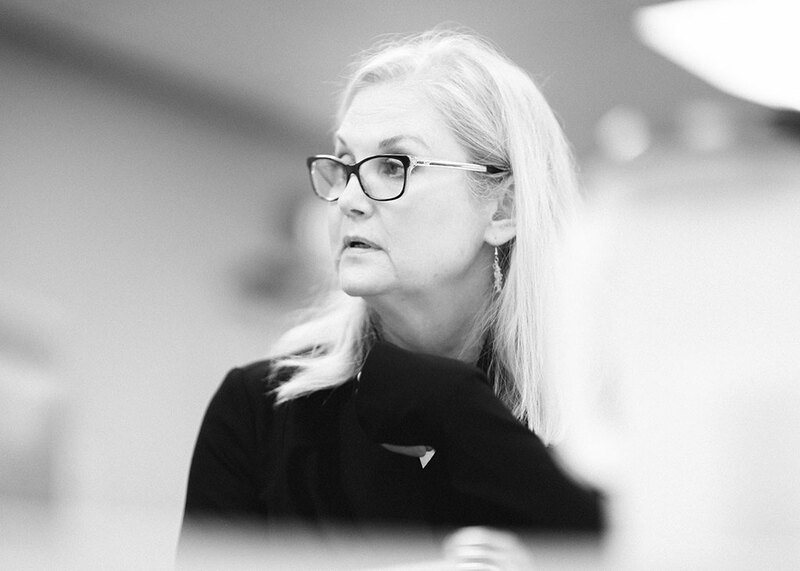 Professor Deborah Nelson, current Chair of the University of Chicago’s Department of English, chats with Resident Dramaturg Nora Titone about Arthur Miller’s All My Sons. “The success of a play, especially one's first success, is somewhat like pushing against a door which suddenly opens from the other side." Prior to the performance, sample bites from Nella Pizza e Pasta at 6:30pm in the lobby. University of Chicago students are invited to enjoy FREE pizza and refreshments after the performance. 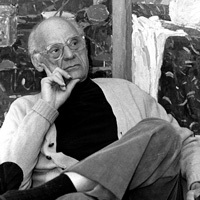 Sunday, January 21, Producers’ Circle members and Leading Donors are invited to enjoy dinner and a performance of the drama that established Arthur Miller as an American theater icon. Following the Thursday, January 25 performance, join us for a discussion with theatre scholar David Bevington and members of Court Theatre's artistic staff.